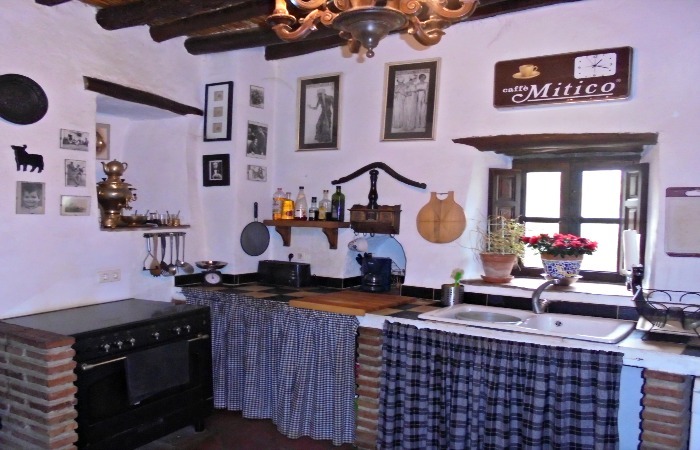 Finca Lo Martin is not a standard holiday rental, this rustic property gives you the real feel of nostalgic rural Spain and makes the rental experience authentic and memorable. The sprawling grounds that are not only home to Ferry and Julie (who reside in Grandma’s Cottage, next door) but also their collection of pets which include dogs, cats, and hens. 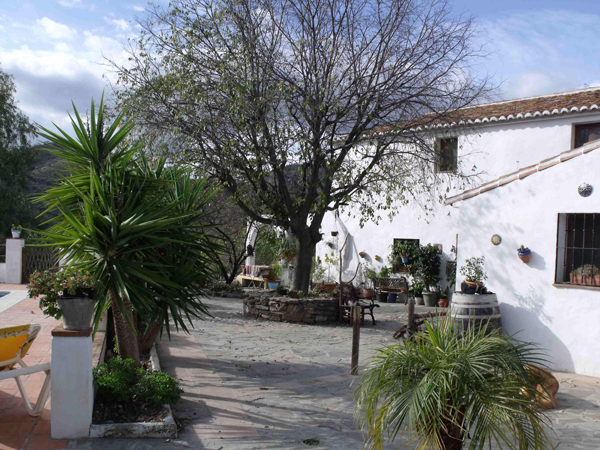 The feel for the place is homely with fruit, salads and eggs all available fresh and great value, very much leading to a relaxed atmosphere. 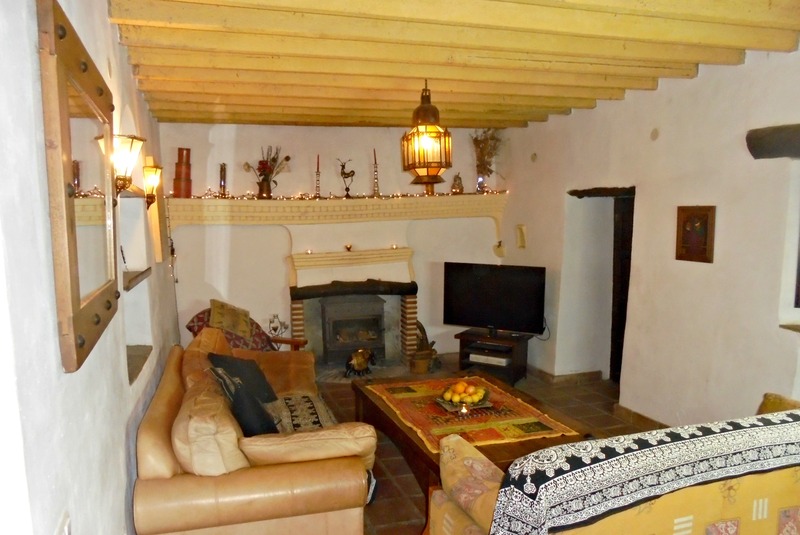 Finca Lo Martin has 5 bedrooms in total. 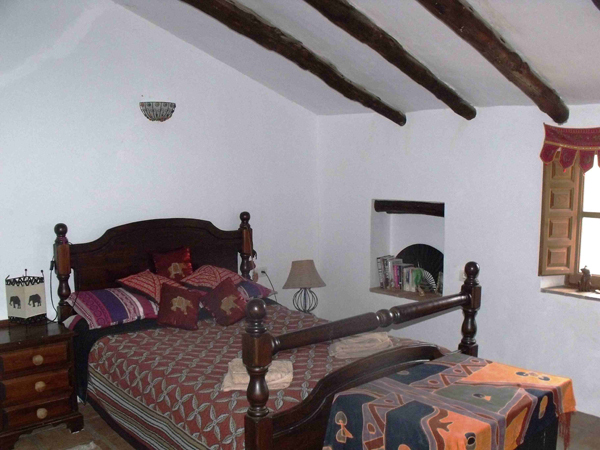 Bedrooms 1 and 2 both have a large double bed and en-suite bathroom. 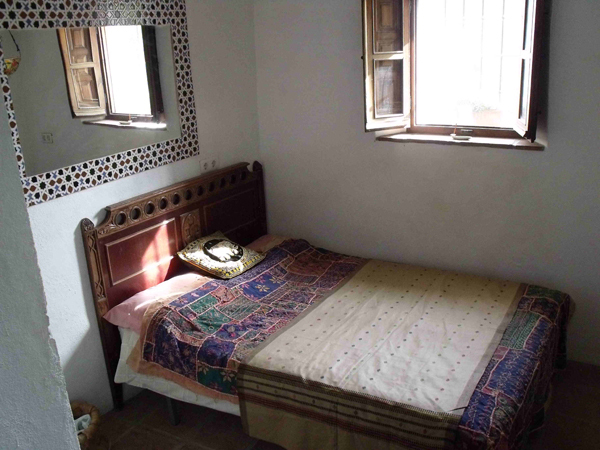 Bedroom 3 has a large double bed. 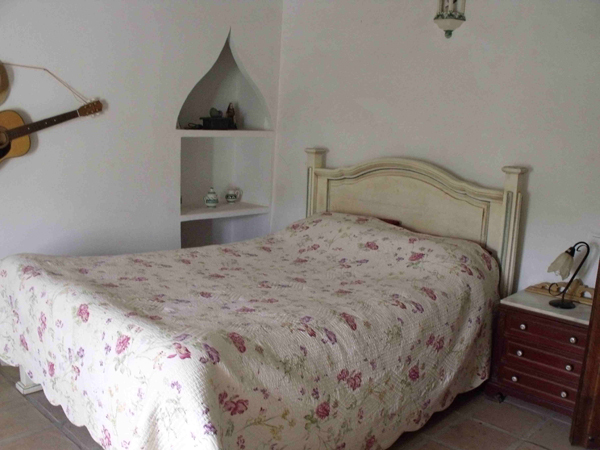 Bedroom 4 has a double bed and toilet and sink. 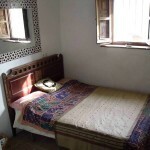 Bedroom 5 has 2 single beds, but has the flexibility to have a double bed. 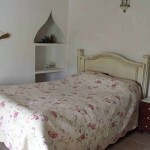 The 2 largest double bedrooms both have views onto the pool area and beyond, they both have en-suites. One includes a shower and the other one has a bath. 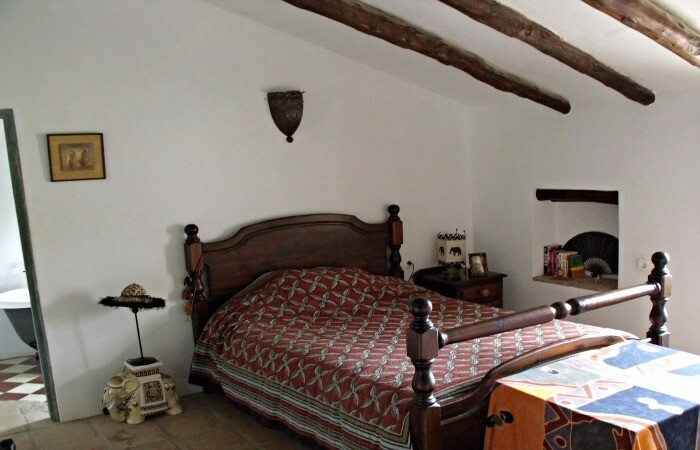 The other 2 upstairs bedrooms share a pretty shower room, one of the bedrooms is a double and the other one is a lovely curtained off open plan area which can be flexible via the use of a double bed, or 2 singles. 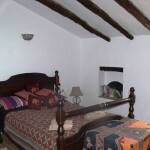 All the rooms are generous in proportion and are full of character. 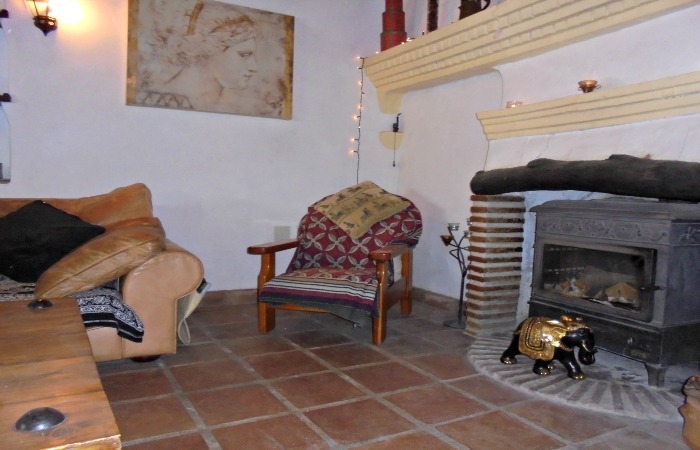 The downstairs room is ideal for an elderly relation not only because the double bedroom is on the ground floor but it has it’s own toilet and doors leading onto pool terrace. 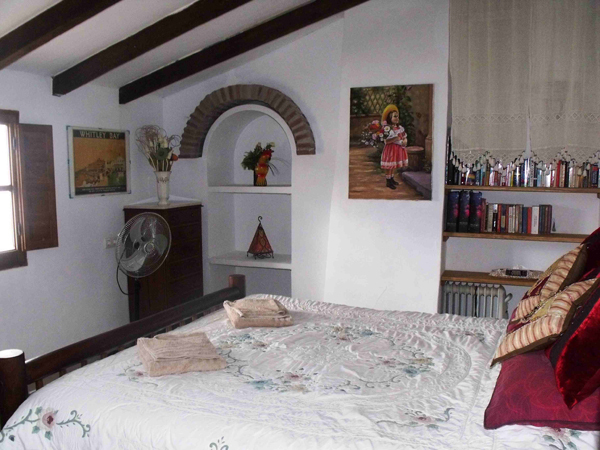 For numbers greater than 10 sleeping arrangements are via nice quality sofa beds on the ground floor. 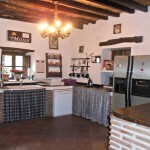 By allowing the capacity to be 12 Finca Lo Martin is offering possibly one of the best value rentals in such a lovely location in Andalucia, please understand we are being flexible to help offer large families or groups of guests stunning value, there are 5 good bedrooms & a sofa bed. 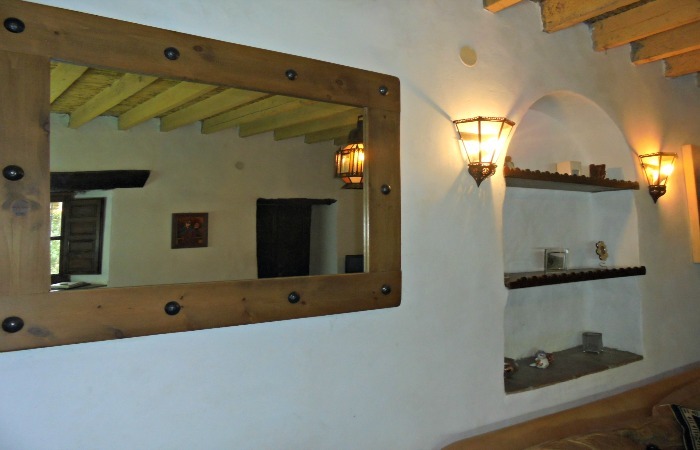 Finca Lo Martin has 3 Bathrooms and 1 Separate WC. 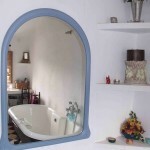 Bathroom 1 – En Suite, Toilet, Sink, Bath with Shower and a Bidet. 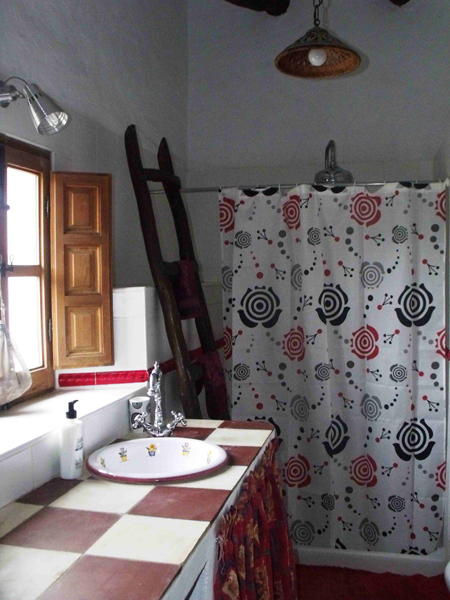 Bathroom 2 – En Suite, Toilet, Sink, Shower Enclosure and Bidet. 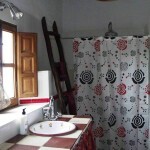 Bathroom 3 – Upstairs, Toilet, Sink and Shower Enclosure. Bathroom 4 – Downstairs – Toilet and sink. 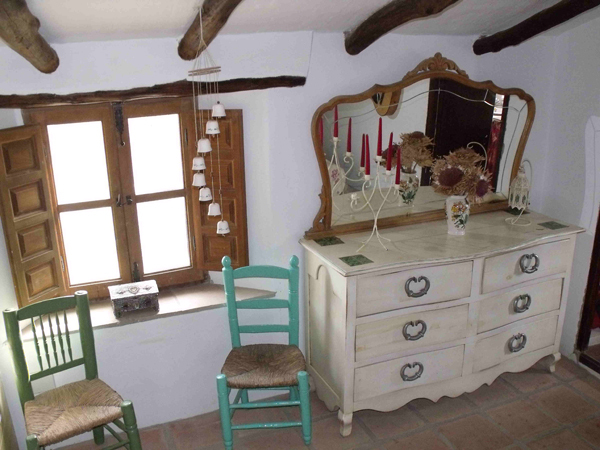 With 4 bathrooms in Finca Lo Martin there are adequate facilities for the numbers of guests it can accommodate, all the bathrooms are quaint and stylish and many have views !!! 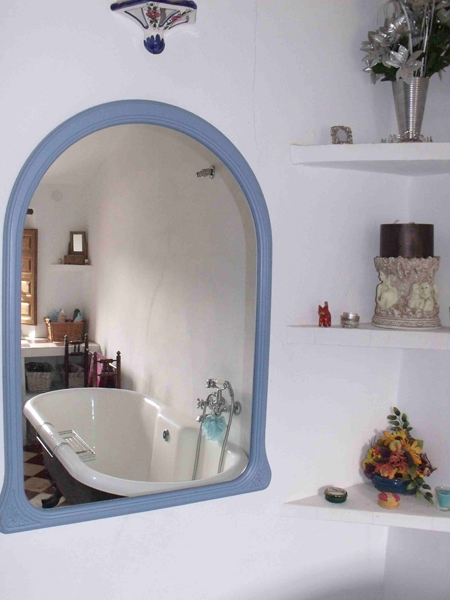 Please understand that this amazing Farmhouse has not been designed especially for specific number of guests, so although it is very much aimed at 10 with tables and bedroom facilities etc, by allowing the extra guests you have to be flexible with your approach. 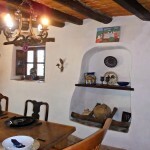 Finca Lo Martin is a large Farmhouse and many guests tend to have their favourite spot, be it inside or out, it is an amazing environment to stay in and being rustic and charming allows children to let off steam without parents worrying about designer furniture or Ming vases being broken. 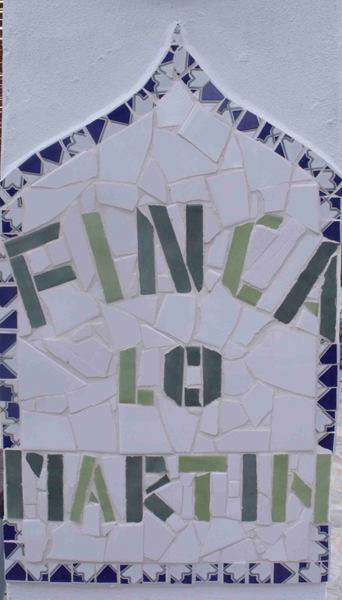 We want you to enjoy your holiday and live in a real Spanish environment, so let Finca lo Martin be part of your holiday fun and enjoy the Farmhouse and what is has to offer. 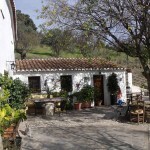 Finca Lo Martin is only a short drive to the beautiful village of Comares. 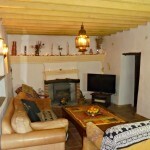 Further details for Finca Lo Martin holiday farmhouse rental in Comares, Spain. 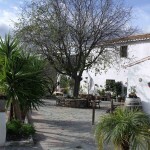 The nearest village to Finca lo Martin is the stunning hill top village of Comares. 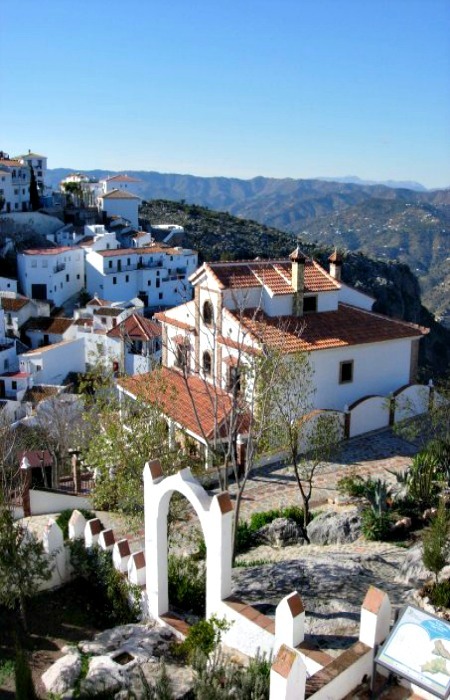 This pretty white village sits hanging off a cliff and has strong Moorish influenced buildings and history. 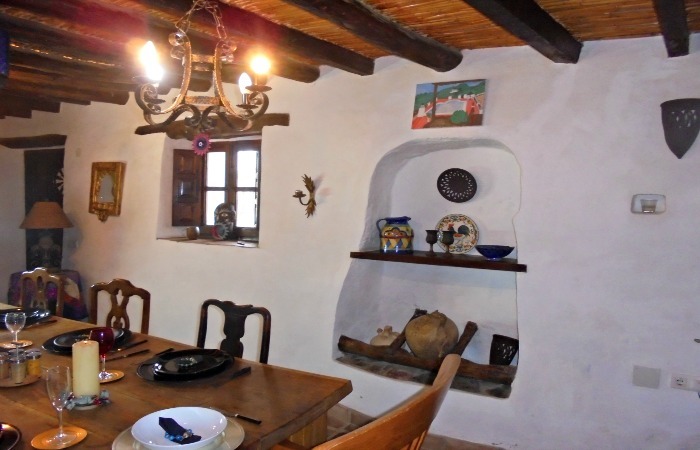 The position of the village means that is will not be commercialised to the main stream tourist trade and the coaches that visit the villages nearer the coast do not venture this high up, which gives an amazing peaceful environment. 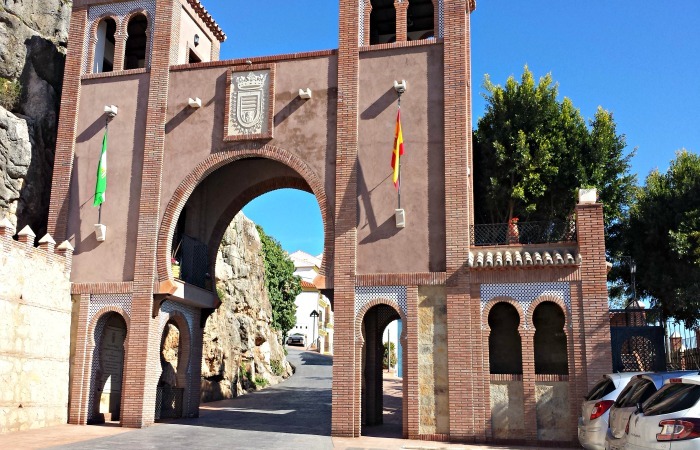 This area is the real Spain, accessible due to it being only 1 hour from Malaga airport, but unspoilt and in some ways in a time capsule of Olive Groves, Almond Orchards and Orange Trees that drop their fruit into the walkways below. The experience of renting Finca Lo Martin, allows guests to escape the everyday stress of current life whilst simply relaxing around the pool and grounds or having an agenda that can take in cities such as Malaga and Granada, beaches like Torrox and Nerja with it’s famous caves. 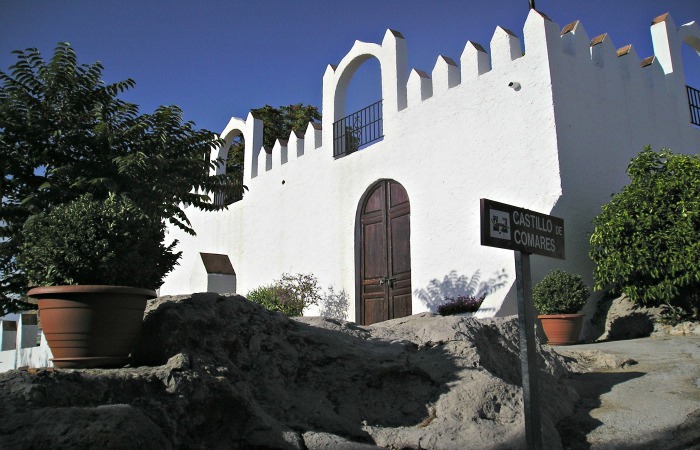 There are pretty villages, none as special as Comares, that can be searched out and explored in abundance and if you like festivals these take place throughout the year and are plentiful throughout the spring and summer months. 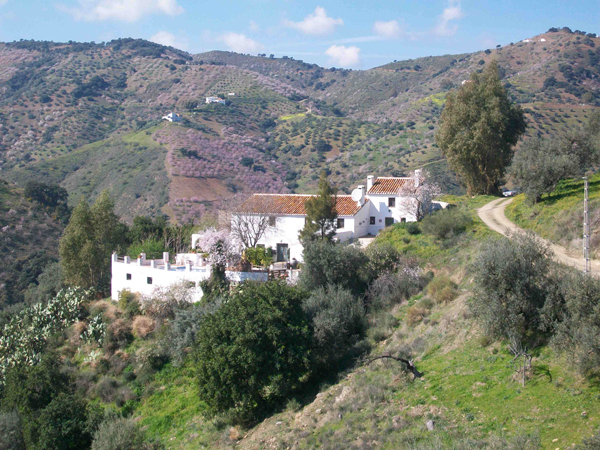 The area is perfect for horse riding, walking, mountain biking, bird watching and many out door facilities. 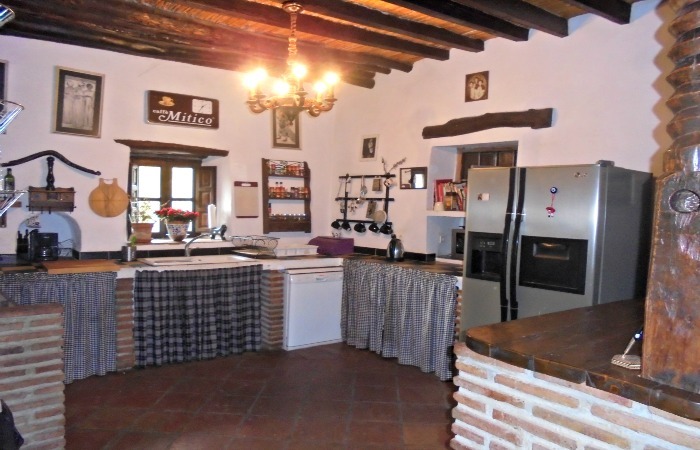 Please note that all our prices are for the complete rental of the Farmhouse. We aim to give a very good value price throughout the seasons. There are no extra charges for Easter and May Bank Holidays and if you have requirements such as high chairs and cots please ask upfront, and we will arrange this. 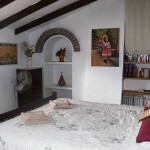 The complete aim of our rates is to be simplistic and above all great value. 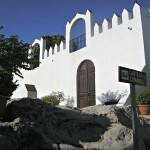 To secure a booking we require a 25% non refundable deposit and the balance will be due 6 weeks prior to your arrival. 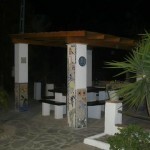 Payment can be taken in Sterling or Euros at the current exchange rate. 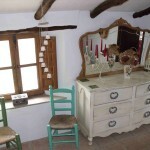 A breakage deposit of only £150 or 150€ is required on arrival, but this will be returned on a final inspection. We are not worried about the odd cup or glass, it is really asked just to help protect the bigger items. 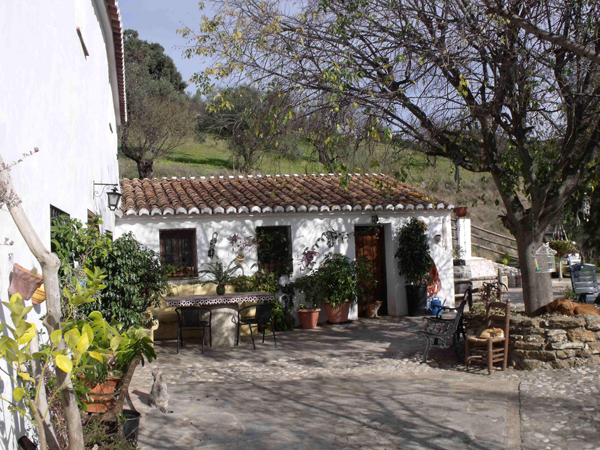 Finca Lo Martin is just 3km up a typical Andalucia track which leads to a peaceful and safe environment, a 4 x 4 is not required, but not a good idea for a Ferrari !!!! 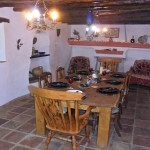 The prices in July and August are for up to 10 guests plus 2 Babies/small children. 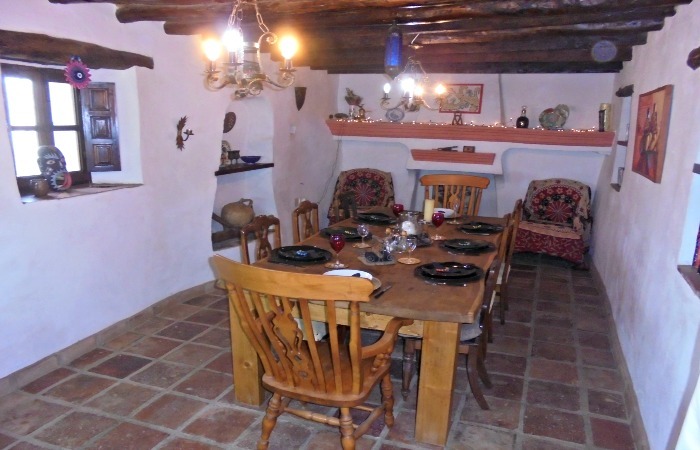 The prices at all other times are up to 6 guests, for extra guests at all other times of the year, we simply ask an extra £50 per person, per week. 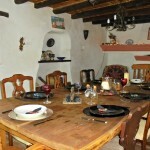 For groups of 4 and less we offer a 10% discount for all seasons apart from peak. 3 wks for the price of 2 in January, February, March, November and December, excluding Christmas. On arrival at Finca Lo Martin we were welcomed by Julie and 4 very friendly dogs, who along with the cats were to become firm favorites with our children during our stay. 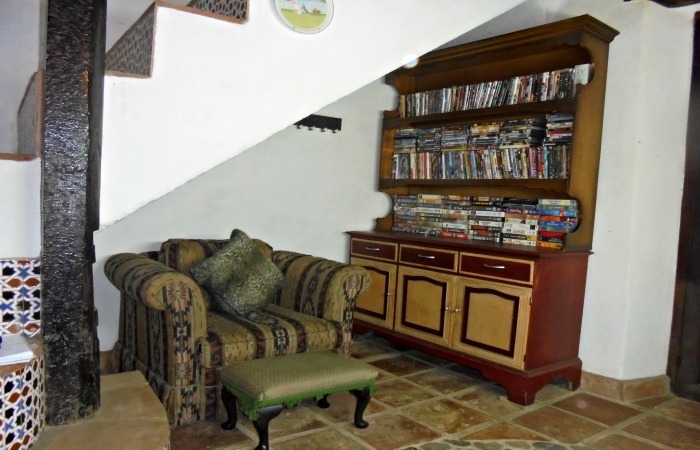 The farmhouse is huge, and can quite easily accommodate large groups, we are a family of six and there was ample room, everyone had their favorite spot to chill. 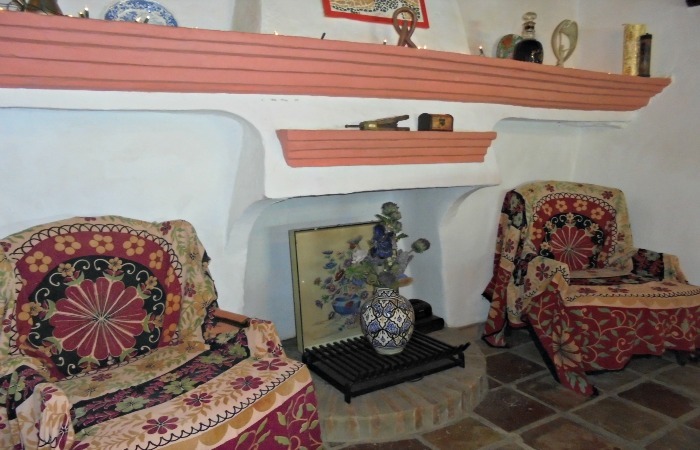 We immediately felt at home and were able to relax from the minute we walked through the door. Julie and Ferry are lovely and are on hand if you should need or want to ask anything. Although they live next door this wasn't a problem as they weren't intrusive and it gave us peace of mind to have them there. 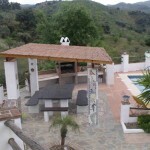 We made use of the wonderful pool with its fantastic views over the surrounding hills. 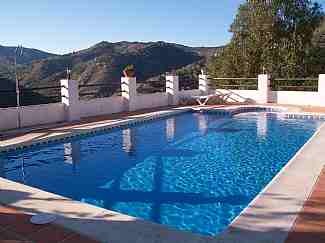 It was luxury first thing in the morning to read and watch as the house martins came and swooped down to the pool. 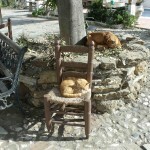 There are also ample places to sit and relax and a huge tree that helps to keep the front of the house cool. 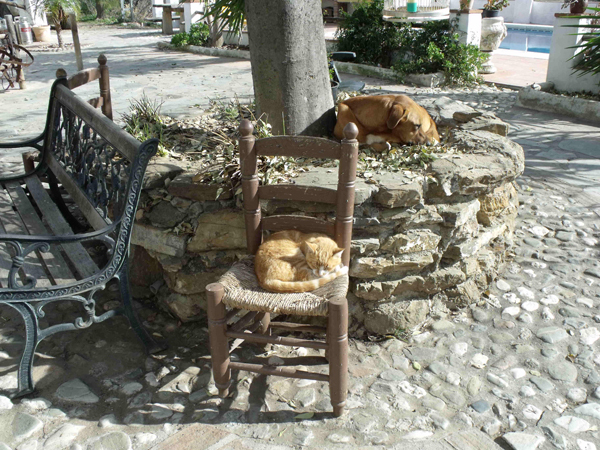 It was also a favorite place for our children and its where the animals would come to relax out of the heat and have a cuddle!. 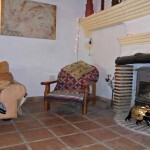 Finca Lo Martin is remote and rustic and an amazing place if you want to get away from it all and relax. We all had a great time and would love to return one day. 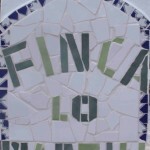 Finca lo Martin is a beautiful and wonderful place to stay. 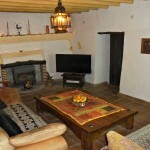 It's very remote and excellent if you want to spend some relaxing time as a group. Ferry and Julie are lovely and so are their dogs and cats. I was worried that the animals would affect my asthma and allergies, but the animals aren't allowed in the house so I slept very well each night. We arranged to stay in Finca Lo Martin for a family gathering and from the beginning Julie and Ferry (and David and Jacqui who help with the rentals) were great to work with. 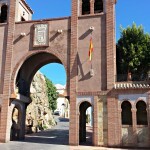 My partner and I were traveling in Spain for several months so we were able to go and look at the place before making a decision. 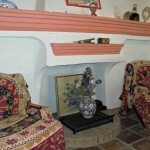 My first impression was that the property is very well loved and reflects the generosity of spirit of its owners. 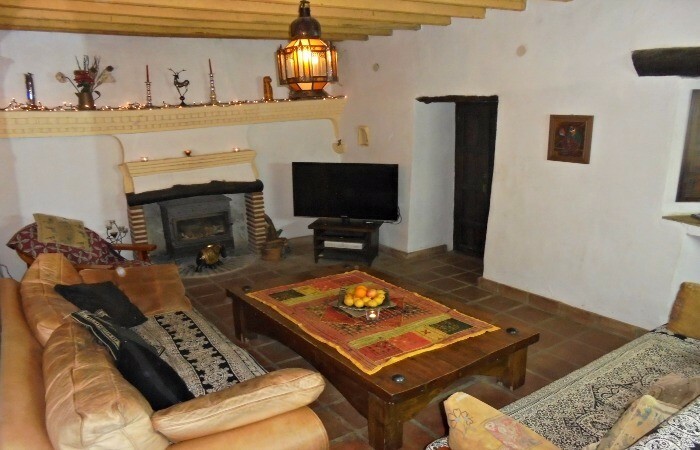 Having seen one other property that did not really look as the website described, I was pleased that the reality matched what is presented online for Finca Lo Martin. 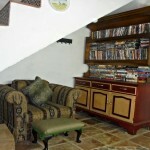 The house is beautiful, spacious and usefully furnished. 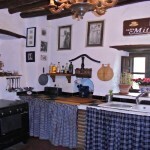 The kitchen was the best stocked "self-catering" I have ever encountered. 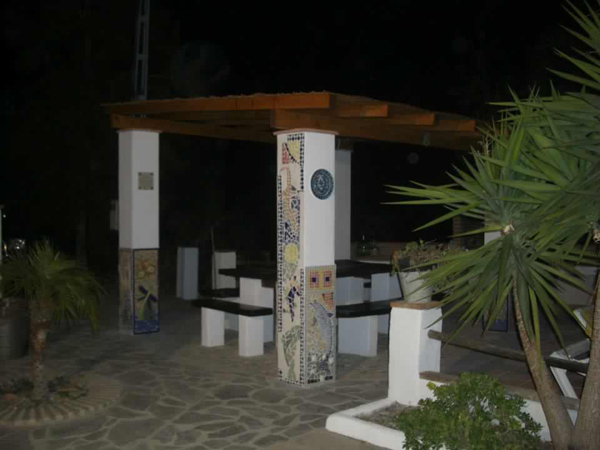 The shaded terrace is great for playing, eating meals, and hanging out. 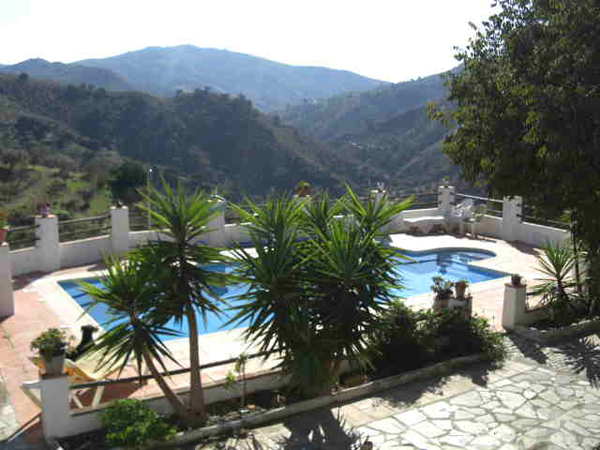 The pool is beautiful and larger than most pools in Spanish holiday villas (again, don't be fooled by photos trying to make a dipping pool into Olympic size). 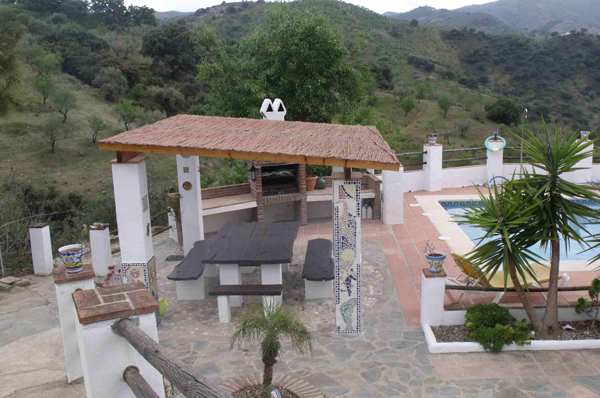 From the pool terrace there are amazing views of the countryside and at night you can watch the moon come up over the hills or stare at the stars. Ferry and Julie provided us with herbs and vegies and we bought eggs from their chickens. The dogs went on walks with us (even our midnight full moon walk) and were a constant and comforting presence. Lola the pig is indeed a star. We had three children with us and all the animals (even the cats) were affectionate and calm and did not seem to mind the occasional hug/maul approach of little ones. One of the mums in our group said that it will be pretty impossible to take a holiday anywhere in the future that does not supply cuddly pets on site. 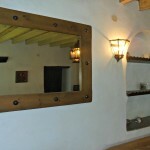 Finca Lo Martin is made for people who like to venture off the beaten track and get away from the crowds. 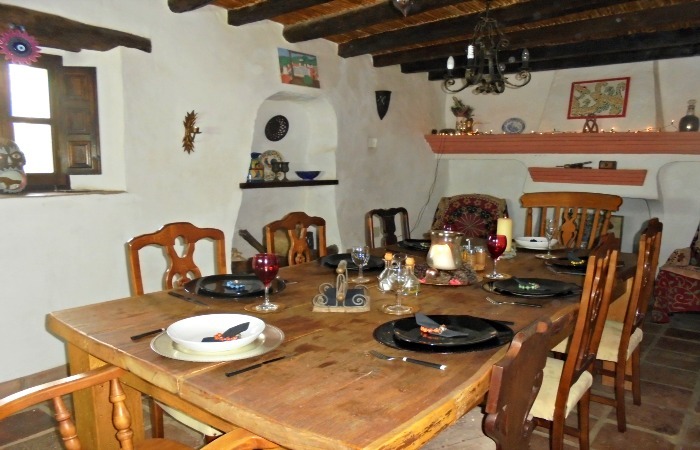 It is rustic but comfortable and beautifully decorated in a warm and homely way. The kind of place you want to go back to again.